The Foreign Office is investigating reports that two Britons have been shot by a robber whilst enjoying a day ashore in Barbados. The pair – believed to be a man aged 72 and a woman aged 59 – were attacked during a visit to Bridgetown, Barbados. The woman was shot in her right thigh and the man was hit in his left side. The robber escaped with the woman’s handbag in the incident that happened on Sunday afternoon. The victims were on a P&O cruise. A company spokesman said: “Two passengers on Adonia have been hospitalised in Bridgetown, Barbados, following an incident on shore. Local authorities are investigating. Our shore-side customer care team and ship’s medical team are providing support as necessary. A spokesman for the Royal Barbados Police Force said: ‘We can tell you two British tourists, a couple, received gunshot wounds and It appears the incident was a robbery, the female’s handbag was stolen. They are currently receiving medical attention but are not in a life threatening condition and are talking to our detectives to assist with the investigation. Approximately 250,00 British tourists visit Barbados every year and attacks are rare, according to the Foreign and Commonwealth Office (FCO). 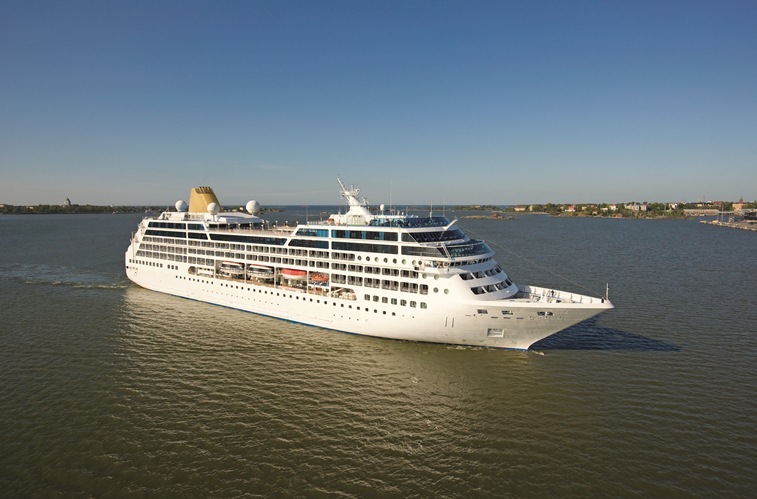 Adonia is on an 85-night world cruise which left Southampton on January 8, 2013 and will arrive back in Southampton on April 3, 2013. She is the smallest ship within the P&O Cruises fleet.